This all changed in 2007, when the commercial red snapper fishery implemented an individual fishing quota (IFQ) program, a form of catch share. Fisheries in the United States are managed under a system called catch limits. A catch limit is a scientifically-based cap on the number of fish that can be harvested from a fishery each year in order to keep the stock healthy for future seasons. Catch share programs, at its most basic, give exclusive fishing rights to commercial fishers to harvest a specific percentage of the total catch limit. When a boat hits its individual quota for the year, it has to quit fishing unless it is able to lease or buy quota from another boat in the same fishery. Catch shares take the pressure to race to catch fish off of the commercial fishermen, letting them fish their quota year-round. In turn, it stabilizes the price of their catch and gives them the power to make business decisions that are best for them (instead of being hostage to a limited open season). For Bubba it sounded like another band-aid that wouldn’t solve the problem. That was until he attended a workshop to learn about how catch shares work. “I was worried about being able to catch enough. Then I learned you could buy and lease quota.” Bubba was able to find a seller and purchased more quota for his business. Since the implementation of the catch share program in the commercial red snapper fishery, the value of the commercial fishery has gone up 150 percent. 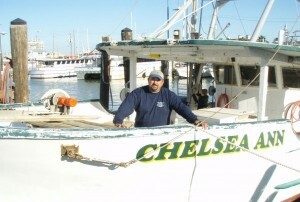 Reports from other fishermen echo Bubba’s – they are making more and spending less to catch fish. For conservation, the results are clear. The fish population has increased enough to warrant a 60 percent increase in the catch limit. Discarded or wasted fish have been reduced dramatically. Because commercial fishermen can catch red snapper year-round, they are throwing less overboard. That means more fish in the ocean for commercial and recreational fishermen. Click here to learn about how National Geographic’s Ocean Initiative is helping to identify and support individuals and organizations that are using creative and entrepreneurial approaches to marine conservation. This entry was posted in Gulf of Mexico and tagged catch share, Commercial Fishing, Fisheries, Fisherman, Fishery, IFQ, Red Snapper, texas. Bookmark the permalink. Both comments and trackbacks are currently closed.